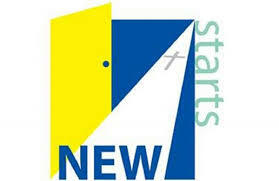 NewStarts is a Christian community project, located next to Bromsgrove’s most deprived area, Charford. They provide practical help to people on very low incomes and others in financial crisis, especially recently homeless people, so that they can make a fresh start in a new home. Their core activities are collecting unwanted re-usable furniture, provide free household goods to people in genuine need, an emergency “food bank” and volunteering and training opportunities for individuals. “One to one” or Small Group Sessions – designed specifically for children struggling with the main-stream curriculum in a classroom setting, those with SEN or disabilities, or children with behavioural or emotional problems. “Farm to Fork” – sessions aimed at whole year groups or classes, in groups of up to 50 or 60 children. The sessions seek to increase children’s awareness of where their food comes from and what is involved in producing it. Land Based Training – to provide a springboard for employment through the achievement of qualifications and valuable work experience. Community Engagement : Despite boasting a rich landscape, few people are truly engaged with their surrounding environment. 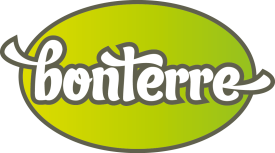 Bonterre runs a series of events throughout the growing season in order to provide a place for people of all ages to experience the healing benefits of connecting with nature. Typical activities include “growing clubs”, floristry events and lavender days, BBQs and picnics. Team Building and Corporate Social Responsibility: Bespoke team building events run on Bonterre are fun, challenging and affordable, whilst also serving to achieve Corporate Social Responsibility (CSR) objectives. In October 2014 Bromsgrove Baptist Church called Keith Judson to become their new Associate Minister. The appointment was made in partnership with Primrose Hospice, where Keith now serves as Chaplain. Keith is seconded to the Hospice for 12 hours (minimum) per week and he is based at the Day Hospice. The Chaplain aims to provide spiritual support for patients and their families, as well as staff and volunteers, whatever their background or beliefs. A number of others from local churches are working with Keith as part of a Chaplaincy Team. Primrose Hospice Centre of Care is an independent charity, offering advice and support to patients living with life limiting illnesses and their families in the North Worcestershire area, in addition to the Day Hospice.